A tear and burst resistant vinyl tape that works in environments susceptible to humidity and temperature change. Manufactured from 35 micron vinyl. Can be used with or without a dispenser and can be ripped by hand to create desired length. Silent dispensing makes this ideal for any workplace. 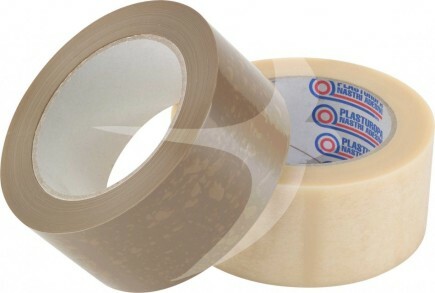 Buff and clear vinyl packaging tape has long lasting adhesion and sticks instantly to all paper and board surfaces. Also adheres to glass, wood, aluminium and plastic and leaves no trace when removed.